This Week In Vexillology, I found an oversight! Somehow, despite having thought I had looked at every flag in Africa, I found that I had missed a country. And what better day to look at the flag of Lesotho than March 11th, Moshoeshoe Day! Lesotho is located in southern Africa, more specifically, it's in South Africa. An enclave, it's one of three nations that's completely surrounded by another nation. (Italy gets the honor of enclaving the the other two: Vatican City and San Marino.) Swaziland comes close to be an enclave of South Africa as well, but it shares a border with Mozambique, so it's sort of exempted. I find the whole idea of an enclave to be fascinating, really- and there are whole lists about enclaves, exclaves and their kin on Wikipedia so it's a rabbit hole you can go deep on, but how does a nation state survive like this? Especially there? Well it turns out that Moshoeshoe Day is Moshoeshoe Day for a reason- the first monarch of Lesotho Moshoeshoe I who proved to be a gifted leader at growing and, more importantly defending the growing Basuto Nation (Lesotho used to be known as Basutoland.) He was magnanimous toward beaten enemies and provided land and protection to various peoples and integrated refugees to grow his nation. He also got guns- which he turned out he was going to need. He tangled with the British and defeated them twice. He tangled with the Boers and lost a ton of territory and it turned out that deal making with the British was a canny move to make because an appeal to Queen Victoria to make Basutoland a protectorate came through and defined the borders of Basutoland and they've remained there ever since. Moshoeshoe Day commemorates the anniversary of his death. 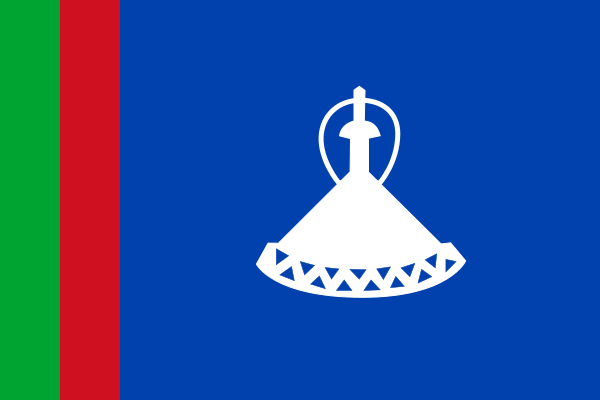 Now, according to Wikipedia the hat on the current flag was originally brown, but was changed to black to represent Lesotho being "a black nation." Lesotho has had solid flags since independence- and I really like that there's always been some consistency in the symbolism throughout it's history. A lot of flags in Africa are heavily influenced by the pan-African combination of red-green-gold which doesn't create a lot of variety- but Lesotho bucks that trend nicely. The blue-white-green combination has been present throughout. 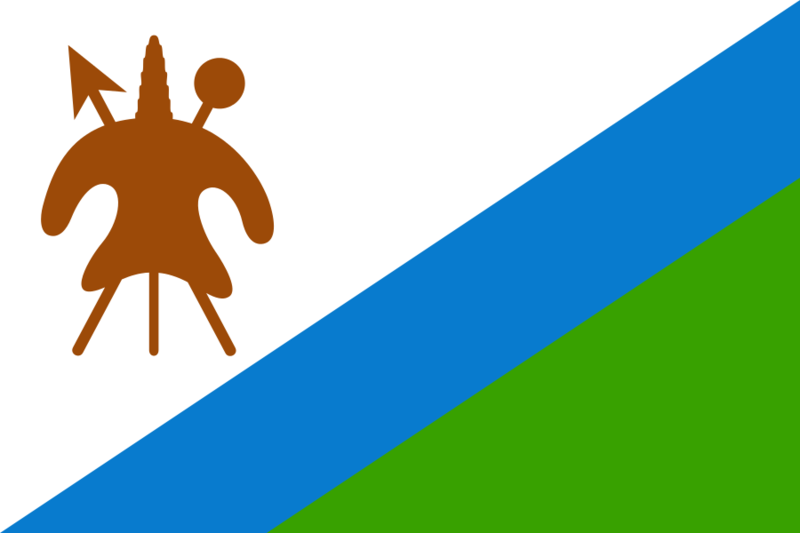 And it's first flag is actually really interesting... the two short vertical bars and then the blue field with the mokorotio- that's works. It's second flag with the diagonal running from upper right to lower left is unique as well. Lesotho rocks this vexillology stuff. I dig it.